Have you been using NessTool the free VPN service offered by TutuApp? Suddenly found it doesn’t work anymore? There’s a good reason for that – TutuApp discontinued it. The problem is, when you used NessTool ( a.k.a NessVPN ), all your ( data was routed via Chinese servers ) and it soon became apparent that there were several issues with data privacy, the main one being that your data wasn’t all that private after all. Following some complaints, TutuApp pulled support for the VPN service. There are other VPNs that you can use, and we recommend one of the popular VPNs with “Servers based in the USA.” Not only are these more secure and protect your privacy, but they also “Stop your third-party app certificates being Revoked by Apple”. Another global VPN service, PureVPN has more than 500 servers in 180+ locations. They offer two payment plans, Bitcoin as a payment option and high-speed service. They also offer solutions on their webpage for Chromebook and Kodi users and a 30-day money-back guarantee. Do You Need a VPN With TutuApp? Yes, it is highly recommended. First off, using a VPN with TutuApp will ensure your connection is private. That protects your identity and your date. It also means that the location you download TutuApp from is also secure and private – no more certificate revocations by Apple. When you use a VPN, you can use TutuApp without interruption and in total safety. Both of these VPNs have been tested and are perfect for use with TutuApp. Let us know which one you choose and follow us on Facebook for more useful tips and news. Can you download nesstool on android? This is great and I want to download it, but my only issue is that I’m running adblock on my iPhone which is already running through a VPN. is there a way to run both this and the adblock? 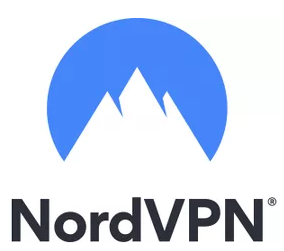 hi , you got to use a VPN then from nessvpn.org . we will write a detailed post regarding this soon. Plz help I cannot download nesstool and I’m afraid that my apps Will get revoked. I’m on iOS plz help thank you! I tried using von and then downloading but still it is nit downloading. The link doesn’t work for me, whenever I try and download it pops up an error message saying “Nesstool Could not be downloaded “. When I search for it on TutuApp then I can’t find it, has this become a VIP only feature? It used to be very easy to download and available to everyone. I can send screenshots or screen recordings if any developer or website manager would like me to. The NessTool link is not working. It says you can’t download it now try later . When you try it says the same thing again.